How much should it cost to become a psychologist, family therapist, social worker, or counselor? Student debt is piling up for thousands of current students in the mental health professions, many of whom will struggle to pay it off after graduation. For the [psychotherapy] professions to continue to place such a heavy financial burden on their newest and most vulnerable members is unconscionable. Many millennials say that their student debt factored into decisions to delay getting married (29%) and having children (43%). 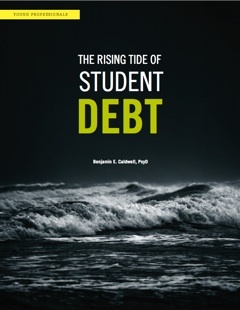 It might also be leading otherwise well-qualified students who would like to be therapists into other careers: Almost a third of millennials said that student debt had considerable impact on their choice of career fields (American Student Assistance, 2013). The cost of the education necessary to become a master’s level therapist is more than 10 times what it was 30 years ago. But seriously, read the whole thing. Really, the whole issue of the magazine is well worth your time, especially if you’re a new professional (student, intern, or recently licensed). It’s data-heavy and fantastic. Topics include examining your career path, results of a membership survey on the impact of the Affordable Care Act, even a thoughtful piece on the ethics of writing letters so clients can use emotional support animals. If you’re an AAMFT member, you can check the entire issue out online, or wait for the print magazine to land in your mailbox over the next couple of weeks. If you’re not a member, of course you can join. They also sometimes put individual copies on sale through their web site.